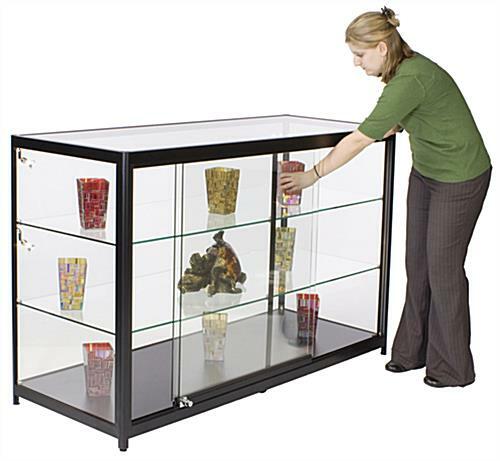 These retail cabinets with lighting put the focus on collectibles that are safely locked behind sliding tempered glass doors. 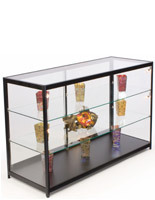 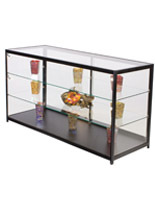 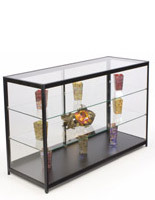 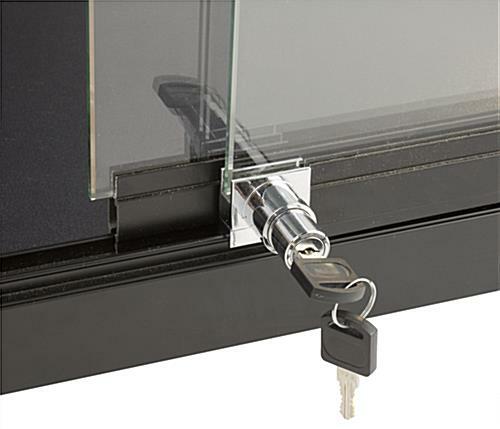 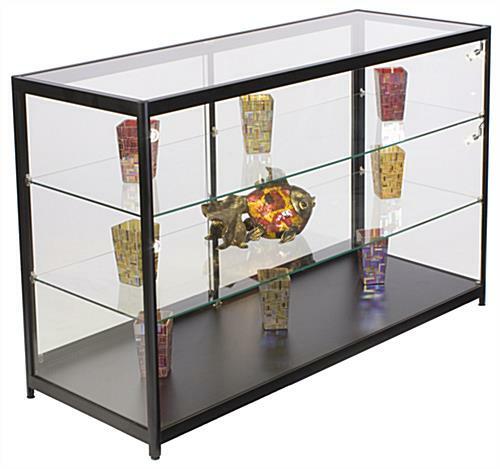 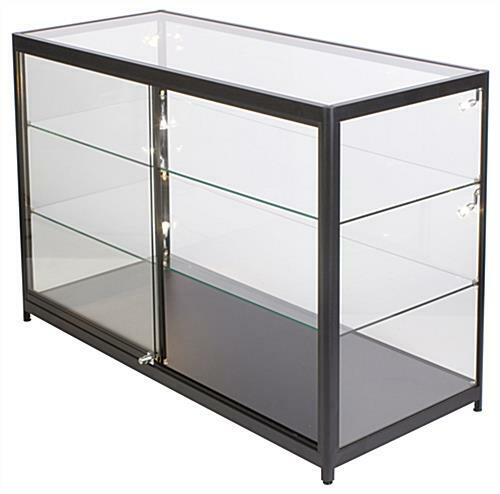 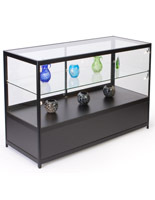 These display cases showcase fine jewelry, eye glasses, cell phones, and other small items that may be difficult to view in un-lighted cabinetry. 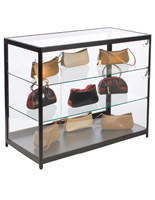 These cabinets with lighting have adjustable shelves to accommodate larger items, too, such as clothing, purses, museum artifacts, and other accessories. 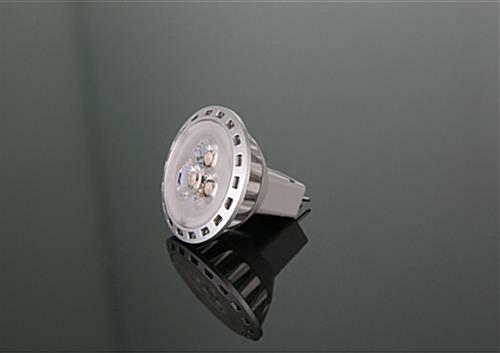 The eco-friendly LED spot lights throw off a flattering glow, making items for sale more enticing. 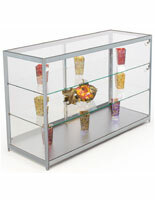 Showcase these cabinets with lighting and lock the items inside the display case with sliding doors. 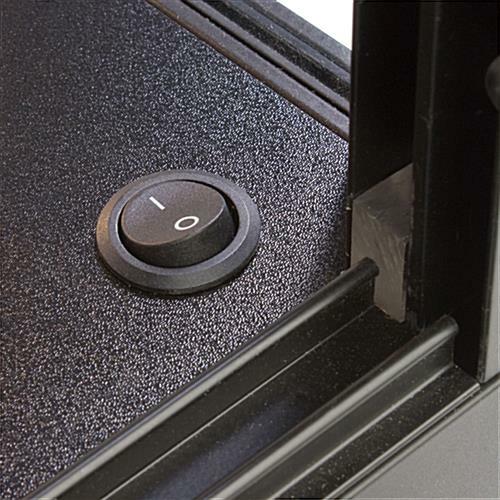 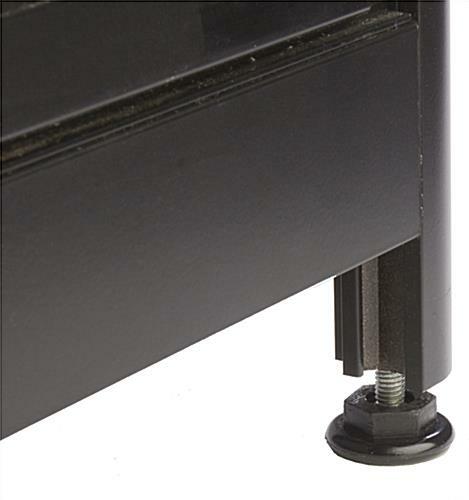 Adjusting foot levelers keep the unit straight on uneven floors.